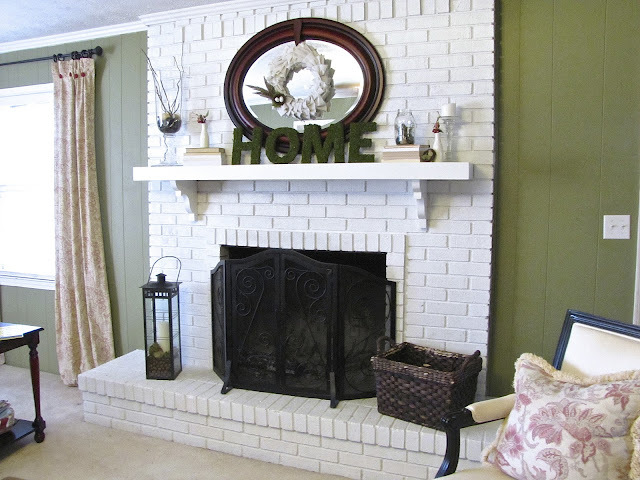 I've been busy lately with lots of projects and am just now getting around to posting the photos of our spring mantel. 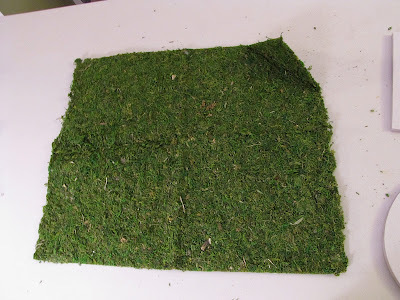 I'm redoing a room in our house that has been needing it for some time now. If you follow me on instagram you may have seen some sneak peaks of the progress. I'll be posting about it soon so stay tuned for that. 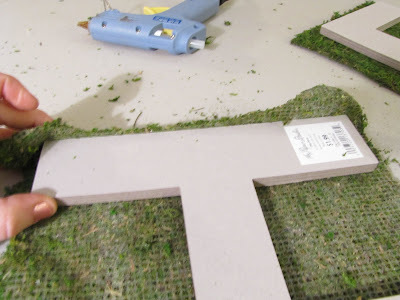 Today I'm going to show you how I made these moss letters for our mantel. 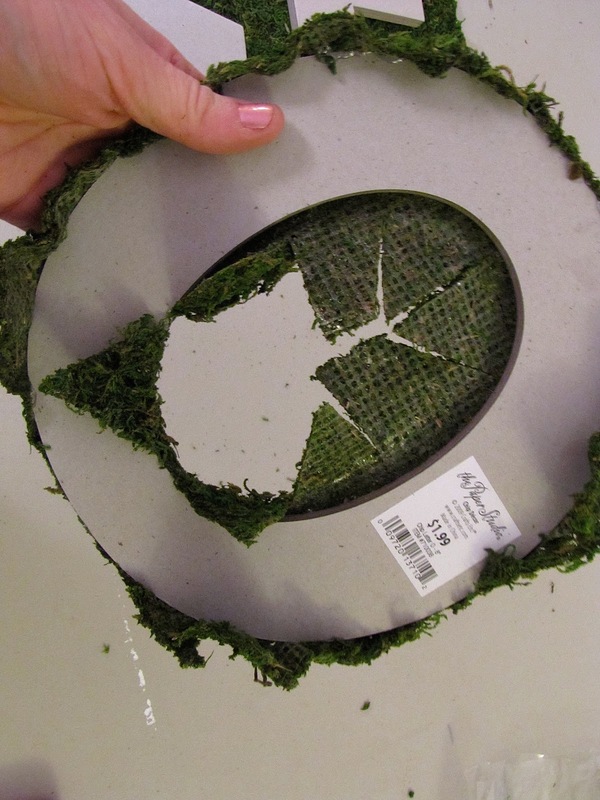 I've wanted some since I saw them in my Pottery Barn catalog several weeks ago. But at $79 a piece...um no thank you. I made these for just a few dollars each. 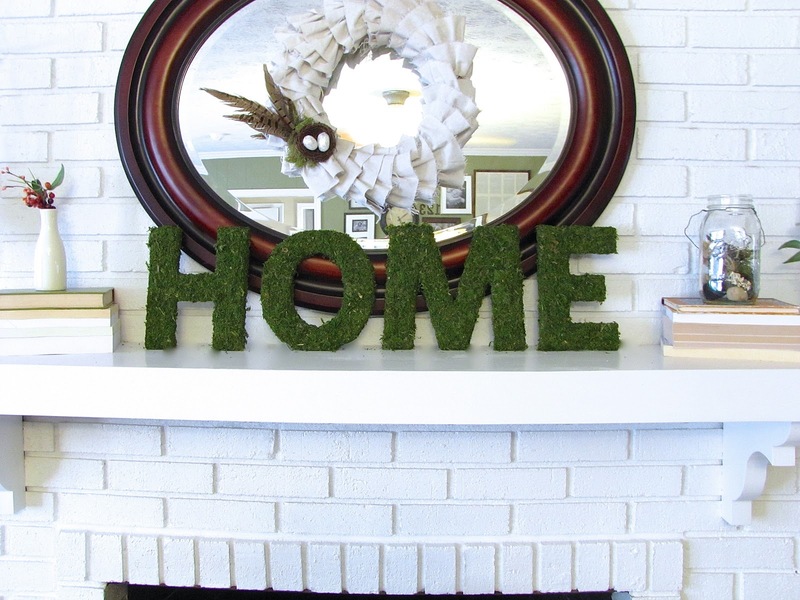 I thought about using the words spring or grow but I'm not always the best at being on time with the mantel changes so instead I decided to be safe and stick with home. First, unfold your sheet moss and determine the best way to lay out your letters. I was able to get all my letters to fit on one sheet. I didn't have enough to wrap it all the way around the letter but that didn't bother me since they wouldn't be seen from the back. If you want yours completely covered just make sure to factor that in when cutting the moss out. 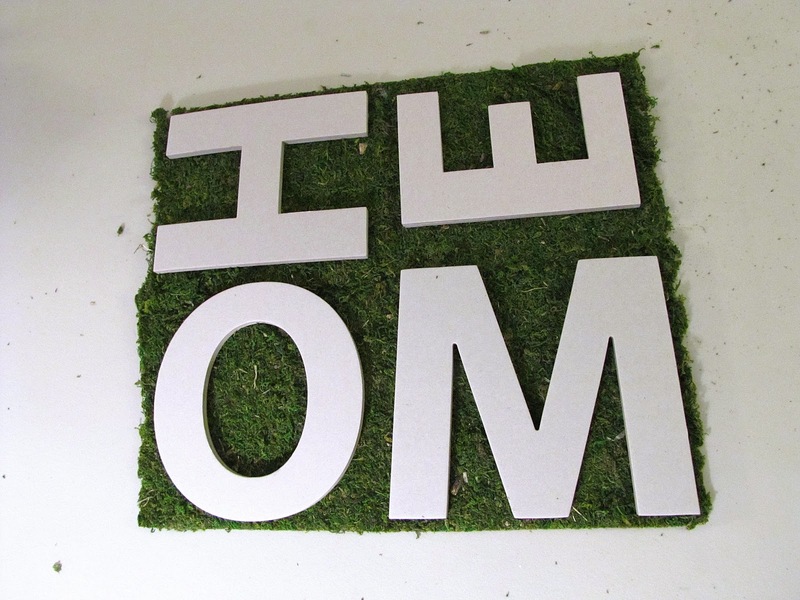 I cut out each piece of moss so there would be enough to wrap it around the side and a little on the back of each letter. 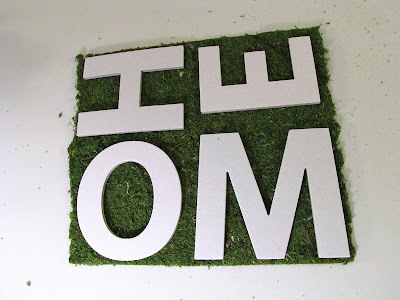 I used my hot glue gun to glue along the edges and back to secure the moss to the letter. 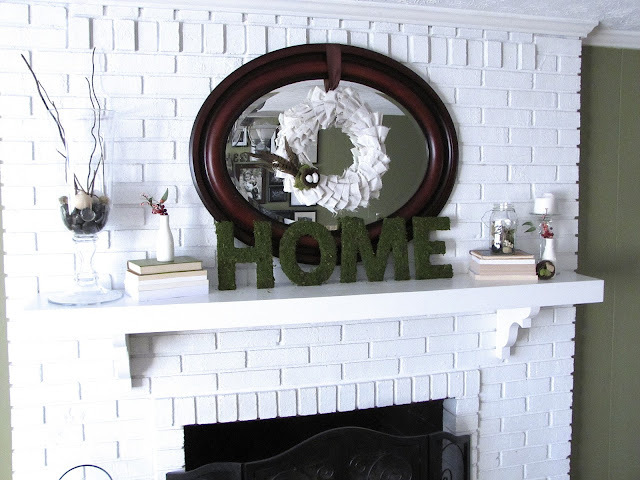 I decided to use the canvas ruffle wreath that I made last year over the mirror. And all the other items are just things from around the house. Super cute! 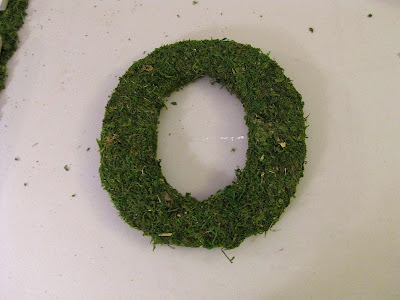 I am going to make the letter of our last name in some spring moss and glue it to our wreath!